Looking for new ways to earn SITES-specific CEUs? Want to learn how projects achieved SITES certification? We’ve developed three new case studies that give you a behind-the-scenes look at the main challenges certified projects have faced, and the landscape strategies implemented to address them. Read each case study, complete the additional reading assignments and pass a quiz to earn SITES-specific continuing education hours. Case studies are available for free online. The associated quiz and CE hours are included in the Education @USGBC subscription or available for purchase individually. Learn how the renovation of Bartholdi Park provided an opportunity to increase accessibility, showcase SITES principles in action and demonstrate USBG’s commitment to sustainability. This course is available for 0.5 SITES-specific CE hours. Learn more about the course. Explore how HP, Inc. used SITES to achieve sustainability goals at its campus in Boise, Idaho. This course is available for 0.5 SITES-specific CE hours. Learn more about the course. Discover how projects at two institutions in the University of Texas system achieved SITES certification. This course is available for 0.5 SITES-specific CE hours. Learn more about the course. 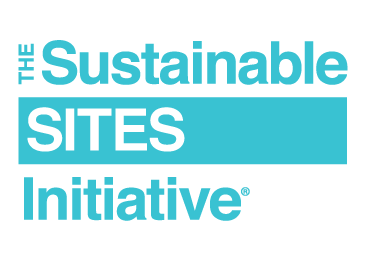 Learn about other ways to maintain your SITES AP credential by reading our guide to maintaining your SITES AP credential and exploring the SITES AP Playlist on Education@USGBC.